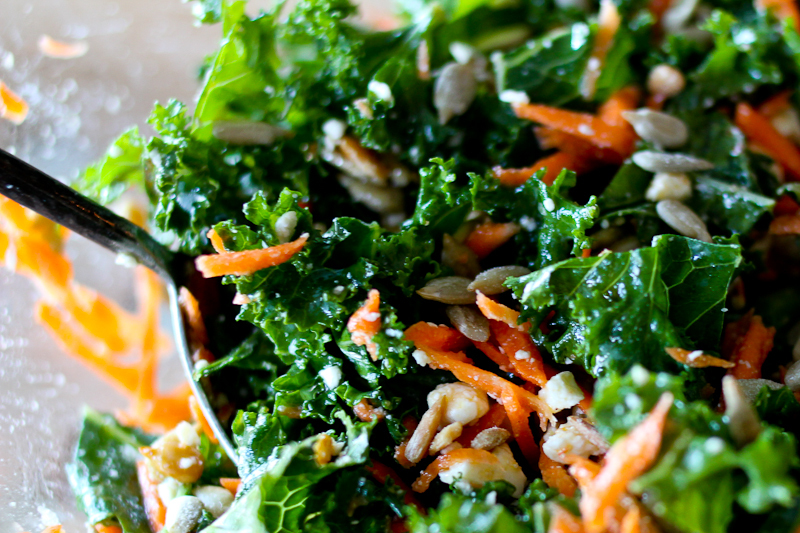 Remove the stem from the kale, then break or cut into pieces and put in a large bowl. Peel and grate the carrots. Then finish the salad by adding the feta cheese, sunflower seeds and shallots, if using. Squeeze the lemon, drizzle with olive oil, give it a good stir and sprinkle with salt. This entry was posted in Salads & sides and tagged gelsons kale salad, grønkålssalat, kale recipe, kale salad, opskrift på rå grønkål. Bookmark the permalink. You know me too well! Yes, this is my favorite salad and I cannot get enough of it. It’s funny how almost every female loves this salad but can’t say too much about the men.